The word “noob” comes from the word “newbie”, meaning new and inexperienced but Runescape gave it a negative spiritby making noob just a word intended to separate the players who are not good or just to taunt other Runescapers. Being called a noob does not necessarily mean that you are one, however, if you notice a pattern or fail to do things mentioned in this article, then… I’m sorry my friend, but you are a n00b. Don’t lose hope or don’t get discouraged, this guide is here to help out and prevent. If you get called a noob, don’t take it personally. This is just a game, not real life, so you should be able to look past taunts or bullies. They are a minority, most of the players are keen to help out and very friendly, but bad behaviour could overwhelm their presence. Try to stay humble and absorb knowledge before flaming or taunting people in duels. Once you get into the swing of things, playing can become a lot easier. Oh god, this is one of the most distinguishable features of a pure-bred noob. Phrases like “Free stuff pl0x” or “Could I get free stuff” are not welcome in the world of Runescape. If you struggle to get money to buy things, there is a fresh alternative to your presumed “Dancing for money” or “Free armour trimming” approaches. It’s purchasing gold for real-life cash. You can buy both OSRS and RS3 gold online. Sites like Probemas have secure payment systems and lots of reviews. If you buy from services like Probemas, you avoid scams and sketchy deals that could steal your money. Quests help in a lot of areas later in the game. Some give great rewards of XP in skills; others give you better awareness of your surroundings. Now for F2P players, try to examine the map as much as possible, but it is pointless just to wander around without anything to do. Open up quest guides and walk from one spot to the other and try to memorise roads, locations of valuable trees and rocks to boost your progress in the future. Quests are mostly entertaining and provide fantastic rewards (sometimes) but could be challenging also. Once you get killed by someone in the wilderness or lose a big stake at the Sand casino, flaming could happen. You might look even to quit, but please try to persevere. Problems are caused by your failure, try to admit it and live with it. No one is going to punish or really hurt you. The bottom line – it’s just a game. Everyone makes mistakes, it’s hard to accept them, but once you do, the progress to 99 becomes a lot easier. The game is excellent and if you’re playing it – you know what we mean. 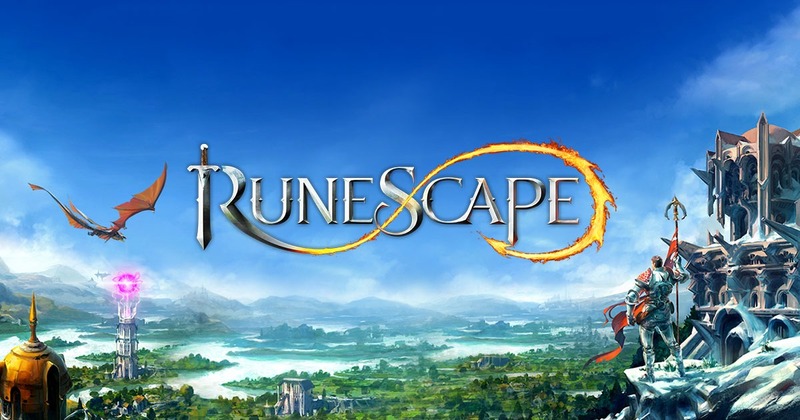 Runescape, it has survived for 15+ years and still goes strong to this date so try to keep a cool head and live to see another day. NEVER SHARE YOUR ACCOUNT INFO! Yes, another non-gameplay tip but regarding how a person plays is entirely up to him or her. Zezima, along with other greats in the RS universe, like Suomi found their ways to greatness and so can you, simply believe in what you are doing and god oh god please, do not share your account info. Runescape’s official forums and rules clearly state that sharing is against the rules, but that is far away from the most significant problem. Over time, Runescape (out of all places) has probably been the birthplace of most scams and scammers out of all the games, ever. From in-game gold scams (doubling money or armour trimming) to real life phishing and social engineering being taken to the extreme just to steal, players have to stay together and be careful not to get scammed. Friendships get buried, tons of hours invested and sometimes even real-life money which was invested gets stolen merely because of one act involving unaware players and evil scammers. No site, service or website should ever receive your exact account info unless you want to get hacked… Hope this helps!